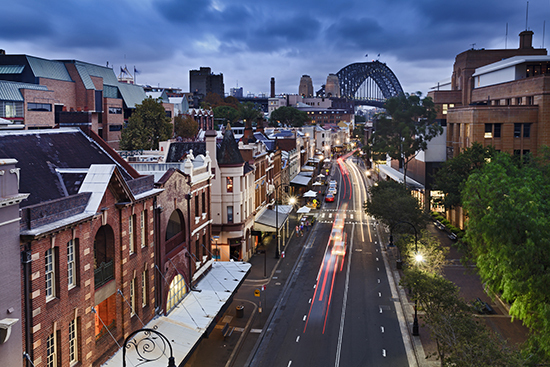 Home to Australia’s largest, arguably most famous city of Sydney, New South Wales covers a vast area of the country’s south-east corner and attracts tourists in their droves. With most of the region’s population living along its east coast this is where the majority of fine dining and varied restaurants in the area can be found. Whether you’re starting in the north and heading south, coming up from Melbourne as you travel round or even setting off or returning from the Top End and the Red Centre, local delicacies and top-class food can be found throughout. Tailor your Journey so you don’t miss out on the best locations, home to your soon-to-be favourite foods. Seafood is a vital part of New South Wales’ culinary culture, with many towns and cities on the coast boasting their own signature dishes. From Byron Bay southwards there is always plenty of fresh seafood, with numerous pubs, restaurants and cafés serving up delicious mussels, prawns and barramundi accompanied by panoramic ocean vistas. In Sydney, experiencing the city’s fish market is a must. Want to get hands-on? Learn to prepare and cook your own dishes at the Seafood School. Or if you’re unsure about seafood, try a tasting menu at the Flying Fish restaurant nearby. 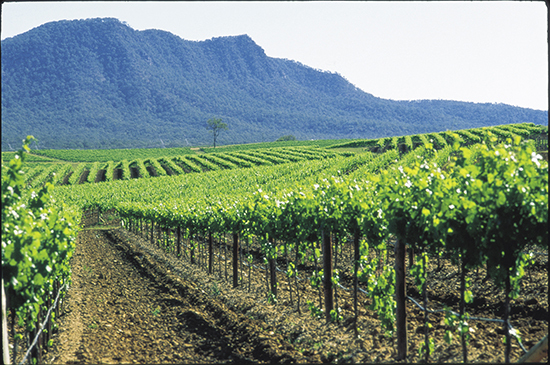 Hunter Valley, to the west of Newcastle, is the most popular area of Australia, with tourists flocking here for a taste of the country’s finest wines and cheeses. The warm climate creates the ideal conditions for growing and harvesting grapes, so much so that wine tourism is now a huge source of income for the region. Many tours are available around the vineyards, with some leaving from Sydney. Sample the local red, white and rosé wines and enjoy a meal crafted from local produce, including the country’s own cheeses. Many places have accommodation too if you’re planning to make your own way around the wineries, from the small Emma’s Vineyard to the Pepper Tree Winery which features the renowned Roberts Restaurant. 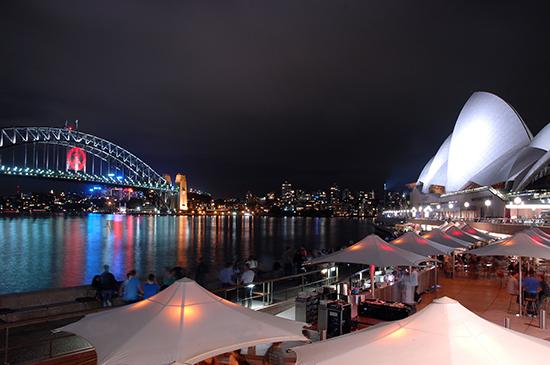 Look to Sydney for some of the region’s most luxurious restaurants. Get a world-class view of the harbour in a setting full of smart whites and glassware as you tuck in to fine cuts of meat and delicate desserts at Quay. Visit Australia’s restaurant of the year for 2015, Sepia, for its sophisticated menu and quality service. Outside of Sydney, Subo in Newcastle has a fantastic wine selection and polished décor, while Biota at the base of Mount Gibraltar in Bowral is one of the area’s best countryside eateries. Australia is a nation built on immigration, so it’s no surprise there are a plethora of eating options to be found, especially in the big cities. Sydney has a great reputation for its Italian and French restaurants, such as Est. in George Street. Quality Japanese and other Asian eateries are emerging too – try Rockpool, which serves a range of Asian-inspired seafood. Even traditional Persian fare can be found at Cyrus The Great in Castlecrag. Wollongong and Newcastle both host their fair share of exotic eateries, like Bacchus and Restaurant Deux; head to the latter for French cuisine. Check out Mylan in Wollongong for some of the best Vietnamese in the city or Pot of Gold if you crave some Mexican food. There’s more to Australia’s traditional food than barbecues. 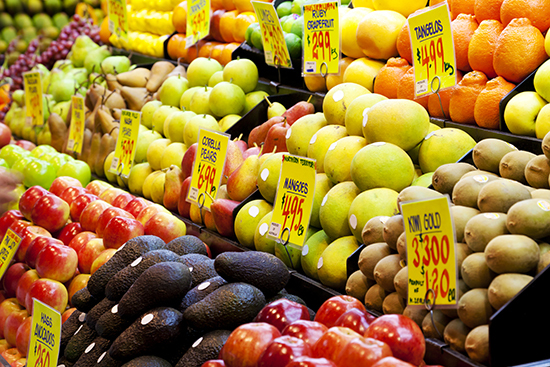 Numerous markets can be found scattered throughout Sydney selling a range of locally-sourced meats, fruit and vegetables and much more. Visit the weekly Bondi Farmers Market to pick up fresh flowers, homemade spreads and cheese – to name a few. Head further inland for the finest venison at Mandagery Creek in Orange. It can be tasted across the country but tucking in at the local Racine Restaurant guarantees the freshest cuts. Whatever tickles your tastebuds, you’ll be able to find fantastic food across New South Wales. Discover the best of Australia's foodie scene on our Gourmet Australia Journey. Speak to one of our Travel Experts to find out more.